an instrument for inspecting the ear. 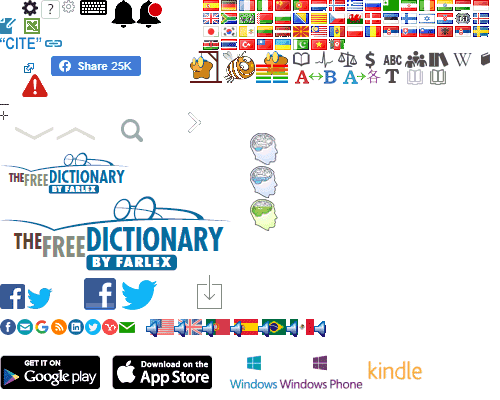 /oto·scope/ (o´to-skōp) an instrument for inspecting or auscultating the ear. An instrument for examining the interior of the ear, especially the eardrum, consisting essentially of a magnifying lens and a light. an instrument used to examine the external ear, the eardrum, and, through the eardrum, the ossicles of the middle ear. It consists of a light, a magnifying lens, a speculum, and sometimes a device for insufflation. An instrument for examining the drum membrane or auscultating the ear. An instrument for illuminating and examining the external ear canal and the ear drum (tympanic membrane). Also known as an auriscope. 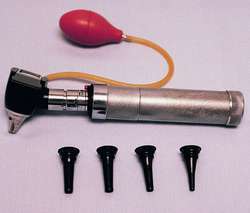 A hand-held instrument with a tiny light and a funnel-shaped attachment called an ear speculum, which is used to examine the ear canal and eardrum. n an instrument used to examine the external ear, the eardrum, and, through the eardrum, the ossicles of the middle ear. It consists of a light, a magnifying lens, and a device for insufflation. Welch Allyn's CompacVideo[TM] Otoscope is small, easy to use, and affordable (under $1,000). Medisave carries a full range of spares -- including everything from spare rim assemblies for a stethoscope to ear tips or bulbs for otoscopes and ophthalmoscopes. Healthcare providers now have a tool that actually makes an examination more precise and efficient without changing the way they already use conventional otoscopes. More information about the MacroView Otoscope and other Welch Allyn products is available by calling 800-535-6665 or by visiting www. They have received two Catalyst fund grants for a $2,500 each to purchase basic diagnostic and intervention equipment such as EKG cardiographs, external defribillators, otoscopes or pulse oximeters. Ninety percent of the market is currently accounted for by hearing aids while audiometers and impedance analyzers each make up 3 percent of total revenues and the rest of the market is divided, in descending size order, into EP (evoked potential equipment), real ear and hearing aid analyzers, otoscopes and electronystagmographs, says the report, WORLD AUDIOLOGY PRODUCT MARKETS: COMPETITORS KEEP EARS TO THE GROUND FOR HINTS OF IMPROVING SALES.